Very few gardeners are content with the length of their growing season. The good news is that by using a few simple season-extending techniques and plant-protection devices, you can shield your plants from extreme weather, and stretch your gardening season by two, three of even six months. 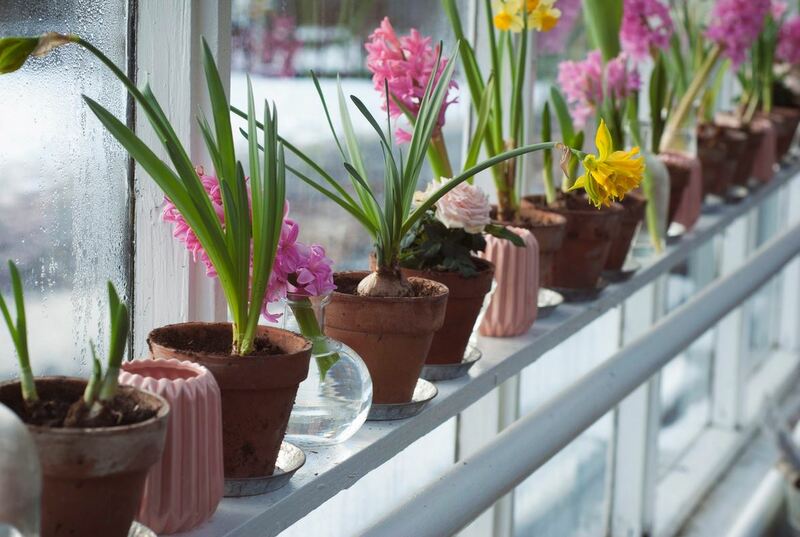 A greenhouse can be invaluable in winter, keeping tender plants sheltered from the worst of the weather. A tube heater is one of the most energy efficient ways of providing low-cost ambient heating and frost protection, helping to prevent dampness and condensation in a greenhouse. If you live somewhere where your plants must battle strong winds in your garden, they’ll need to use most of their energy to survive, rather than developing strong root systems and putting on healthy growth. In order to protect your garden from the wind, you could build a wooden fence, plant a windbreak of trees and shrubs, or put up windbreak netting. Your ultimate goal is to reduce the wind speed, not create a dead-calm environment. If there is a prevailing wind direction, then a fence on that side of the garden may be all that’s required. If putting up a permanent fence or hedge requires more time of financial commitment than you are ready to make, try putting up a temporary plastic mesh fence or cover your plants with a polypropylene garden fabric. Plants will still grow whilst underneath the cover; seedlings grown under a shelter of garden fabric will grow twice as much as control plants. If you protect your garden over the winter with a thick layer of mulch, make sure to pull the mulch off the planting beds in early spring to expose the soil to the sun; raised beds are another way to warm the soil more quickly. When the autumn comes around, cover the plants with garden fabric to help them retain heat and keep soil several degrees warmer. This can give heat-loving plants a couple of extra weeks to ripen. Hot weather can be just as challenging as cold weather. The heat can cause young plants to become stressed and have their growth stunted; salad greens turn bitter and go to seed and it can be very difficult to get seeds to germinate. Installing shade netting will keep the plants and soil cool and help to retain any moisture present. For most gardeners, frost is a limiting factor during spring and autumn. A cold night can put an end to the toughest of crops. Sheets, blankets and cardboard boxes are handy emergency solutions for protecting plants from the cold, but garden fabric is easier to handle and is much more effective.